Hajj is one of the pillars of our faith. It is the pilgrimage to the Holy land of Makkah. It is enjoined on a Muslim to go at least once in his life if one has the means. This means you would need to commit financially, physically and spiritually and also be of sound mind. 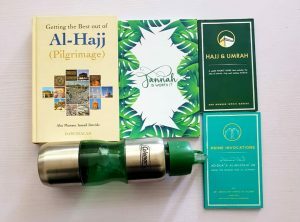 This post would help you figure out where to start in preparing for Hajj and even some resources. The pilgrimage takes place in the last month of Islamic calender Dhul-Hijjah and the rites are performed between the 8th and 12th days of the month. As it follows the lunar calendar, the dates change every year. The rites of Hajj date back to the Prophet Ibrahim (A.S). And while performing hajj, one would walk the path the blessed Prophet Muhammad (SAW) walked. Hajj is a total transformational experience. SubhanAllah! it is truly the journey of a lifetime. You become washed of your sins and have a renewed faith. It goes beyond the rites of pilgrimage too. You find that you learn so much about yourself. Should you be blessed enough to travel with others, you would learn so much about them too. Throughout some of the rites of pilgrimage, one is considered to be in a state of “ihram.” The ihram is a spiritual state as well as a physical state. It represents equality of all men in the eyes of Allah. Men would wear two pieces of white cloth and women would observe the hijab. Their face is to uncovered through the rites of Hajj. One must not cut their nails, wear scented clothes or use scented toiletries or beauty products, kill or hunt, argue or fight, shave their hair or cut their nails. Truth is as with every journey, there would be people who would infringe on your rights – I mean it’s at this moment when you could find out your travel agent did not give you the best accommodation or fulfil his promise to you. So one must truly be patient. As with everything worth doing well, it’s important to prepare and plan for it. Travel light – Start with the essentials. Be picky and practical about clothing – More light-weight and cotton fabrics. Keep it simple, modest and subtle. 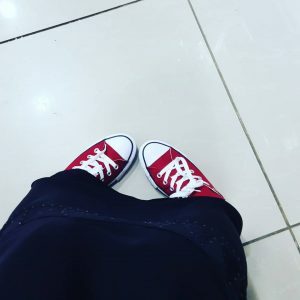 Comfortable shoes – There is a lot of walking involved. Something soft and not tight fitting. Less is more – isn’t it always. Pack your ihram clothing in a cellophane bag so that perfume or scented products also contained in your bag would not affect them. Qur’an and du’a books – though most people just have them saved on their phone these days. So don’t forget your phone chargers. This book is enough. The author did a good job and covered everything. His writing is clear and easy. He did not sound preachy or judgemental. He wrote from experience and sometimes you actually see it happen as he said, especially when he warns you about something. One experience I remember was when I read the chapter about Arafat. He advised us not to tire ourselves out before the actual time of Arafat. When we got arrived, I got a lot of invites to walk down to the mountain, at some point I was even tempted but my travel companion reminded me of the book. And so I found a place and sat. I ate a little and even slept. When it was the actual time for Arafat, most of the people who went around and some even climbed the mount were sleeping. We had to keep waking them up. If you have never been to Hajj, and maybe you are travelling without a guide, get this book.There is a pocket-sized version of the same book which is basically an easy-to-move around with summarized version so you are not constantly dragging the book around. They are easier to carry to mina for the days of Hajj. And as there is a lot of walking involved, you would have to carry your own bag so pack only what you need. Plus everyone would be busy carrying their own bags. A backpack frees your hands for a lot of other stuff and is more comfortable. They shouldn’t be too tight fitting and should be light. For women, as you have a choice something with a little cover might be nice to avoid blisters. Don’t forget to take bathroom slippers for your bath and bathroom breaks in mina. Anything that can take at least 600ml of water is great. Nothing too big because you have to carry it everywhere you go. I would recommend something that keeps it cool too cause sometimes coolers are filled with ice and you can just put in your bottle. This would help you get cool water regularly. Sometimes there is a crowd at water points so you can use the water in your bottle to make wudhu and When the crowd has reduced, you full your bottle back saving you a lot of time. And sometimes it would provide you with a chance to do good by providing water for someone else. You cannot go visit the house of the King and you forget what you want to ask him for. No! You would not remember everything and everyone you want to make du’a for off the top of your head. Sometimes you would just be in awe of His Majesty and your brain would just freeze and trick you into thinking you have all you want, but you don’t. You have a lot to ask for. I mean, the Prophet Muhammad was assured Jannah but he still constantly asked for forgiveness. Pray for your family, your friends and even your enemies. I always love to hear back from you. What would you add to this list? Did this benefit you? 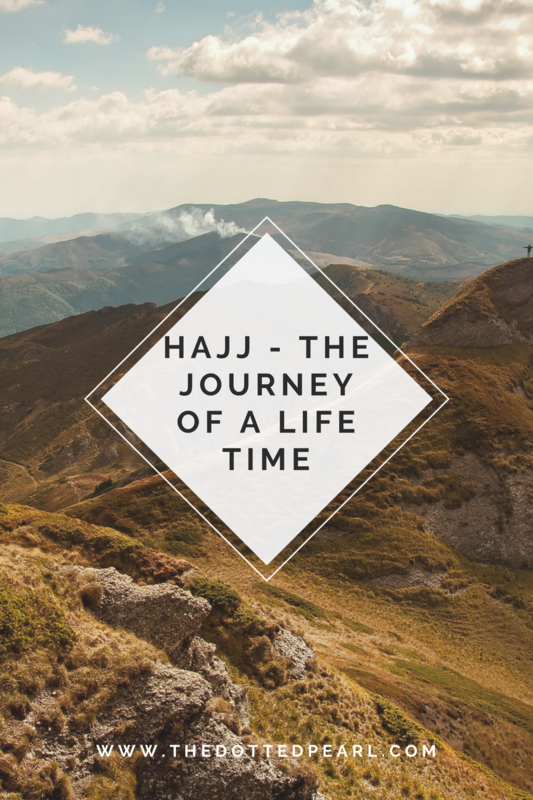 What experiences or lessons would you like to share from your Hajj experience? *This post may contain affiliate links and as an amazon associate, I earn from qualifying purchases.